We started our September with a wonderful feature in Civil Society Magazine. The feature talks our work in powering the Pradhan Mantri Ujjwala Yojna through our data intelligence platform. Every year, Business Today recognizes powerful women through the Most Powerful Women Impact Awards. We are so happy to share that this year, co-founder of SocialCops Prukalpa Sankar was recognized with this award! Read more about the award and other details here. We have always believed that 20-somethings can change the world! And we are now set out on our search to find them for our Internship Program 2019. 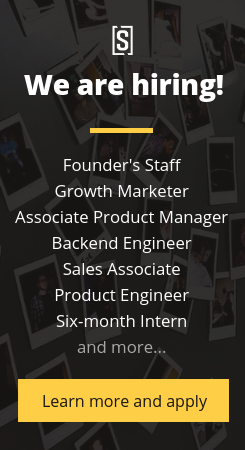 We are currently hiring Product Engineering Interns, Data Science Interns, Machine Learning Interns, Growth Marketing Interns, and more! Sounds interesting? Learn more and apply here. This blog answers everything (almost) about internships at SocialCops. We are hiring for some full-time roles too. If you know someone who you think will be a great fit, help us connect — 5 minutes of your time can help us find our next awesome team member! Refer using this form.